In a few days we will visit the Normandy Beaches where Operation Overload secured the beaches and led to the eventual defeat of the Axis forces. There we will remember the tremendous sacrifices of the Allied forces. 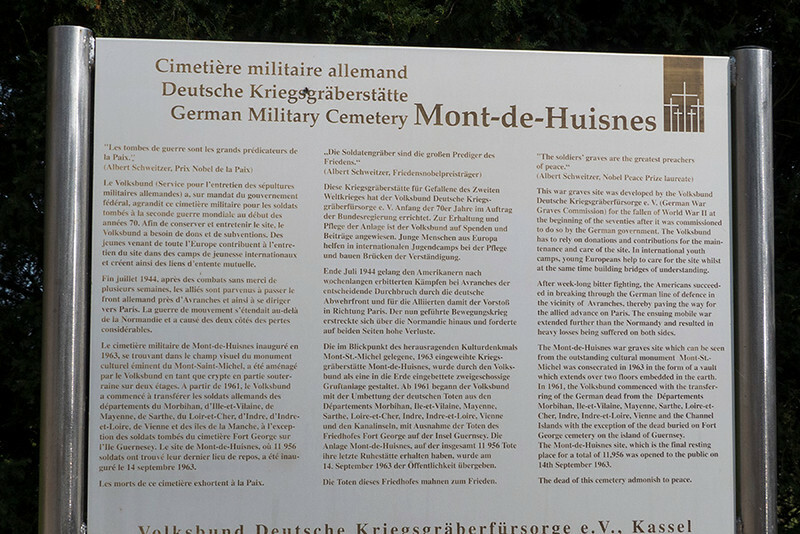 Today we will be reminded of the losses of the German forces as we visit the German Military Cemetery , Mont-de-Huisnes, not far from Mont St. Michel.